You don’t want to miss out on the epic fight to conquer the Iron Throne - the treachery, lust and bloodshed continues! Watch the final season same time as the U.S. on HBO CH.411 and 431, new episodes every Monday at 9AM and encore at 10PM. Or catch the uncensored version available same day on demand, available via connected PVR and Astro GO. Not an Astro customer? 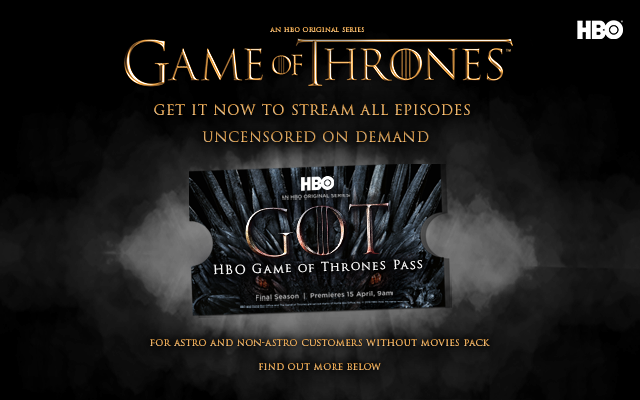 You can access the show via HBO Game of Thrones Pass on NJOI Now app. Find out more below. 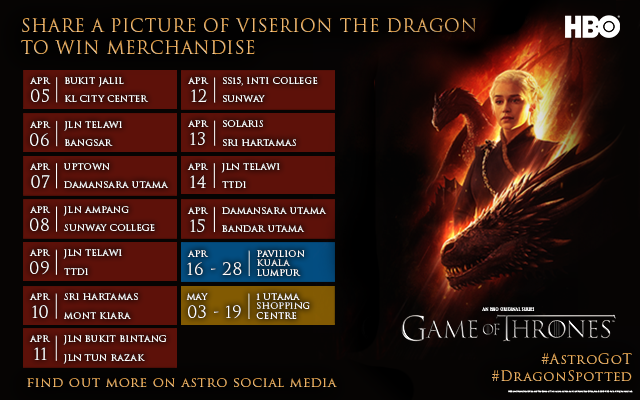 Take part in our dragon spotted contest and catch our massive replica of Viserion the dragon or show your fandom and participate in our Game of Thrones Challenge. 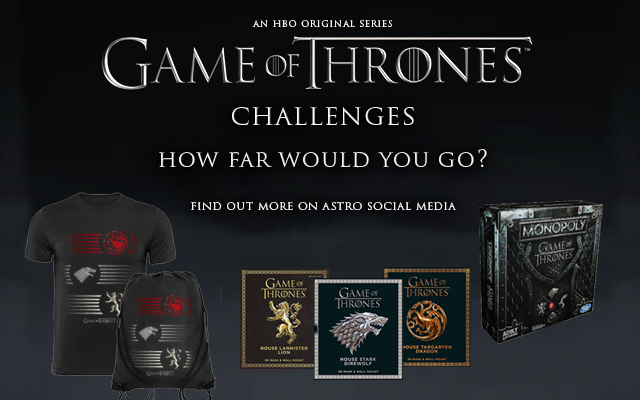 Find out more on our Astro social media. 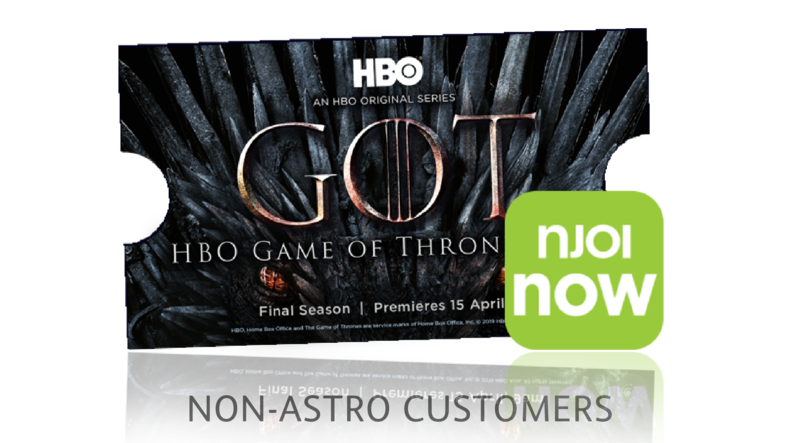 Got any queries about your Game of Thrones viewing experience, click here to find out more. Key-in your password. you’re all set! Once successful, you can access to all HBO original series! 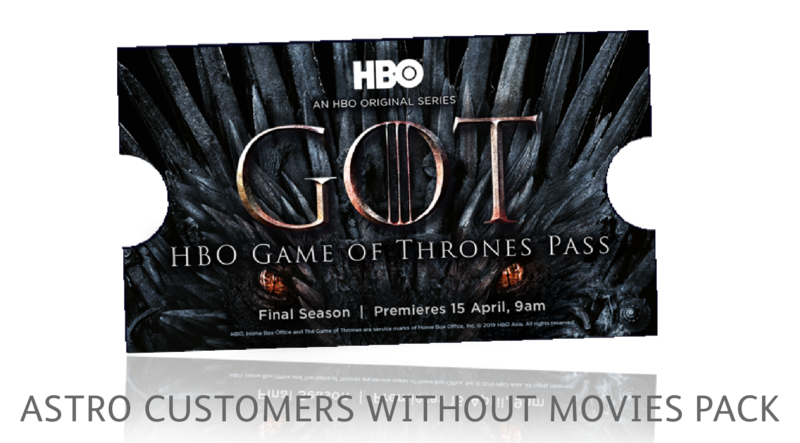 Click “Confirm” > purchase the HBO Game of Thrones Pass and get access to all HBO original series! To enjoy the best of Golf Channel HD, login to subscribe today!